Happy Friday to you! It's been a rough week for me since I haven't been feeling well, which explains the lack of blog posts. I hope to recover and bounce back soon because I've got so much to share! This weekend I plan on relaxing a bit and hopefully squeeze in some kitchen therapy. A highlight of the weekend will be a neighborhood tour! Lincoln Square Neighborhood Tour: Friends will taking a tour of the Lincoln Square neighborhood of Chicago and we're starting out the tour with a Filipino luncheon. I'll be sharing a bit about Filipino cuisine and have set the menu for our luncheon that we'll be enjoying tomorrow. Tattle Tasters: Friends will also be providing some taste review of some treats this coming week. They're picking up some goodie bags filled with some quick breads I've made and will be sharing their thoughts. But we all know that you've come to check out who won this week's Foodie Freebie Friday! 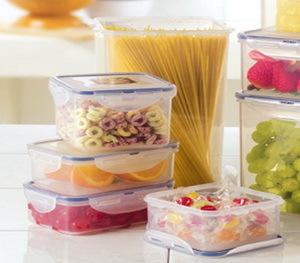 With the holidays coming up, we're all sure to have some leftovers that will need to be stored away. This week I asked readers to share one dish that they enjoy better the next day as leftovers. It was a great response of answers with chili and soup as major favorites! So even if you don't have leftovers after the holiday parties, you're still able to enjoy this week's giveaway for whatever leftovers you have on hand. 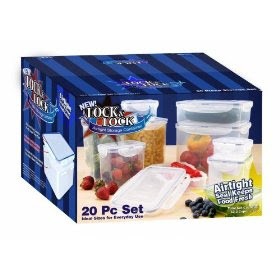 One lucky reader will be receiving a set of Lock & Lock storage containers - a brand I personally love! Congratulations to Carla! Please email me at [email protected] so I can have a set of Lock & Lock storage containers sent to you! Thanks again to all those that commented and stay tuned to the next Foodie Freebie announcement on Monday, November 9, 2009! Don't feel discouraged if you haven't won yet - I have a whole year's worth of freebies ahead and next week is one that you won't want to miss!